Styled with ryley pant and skinny western belt . 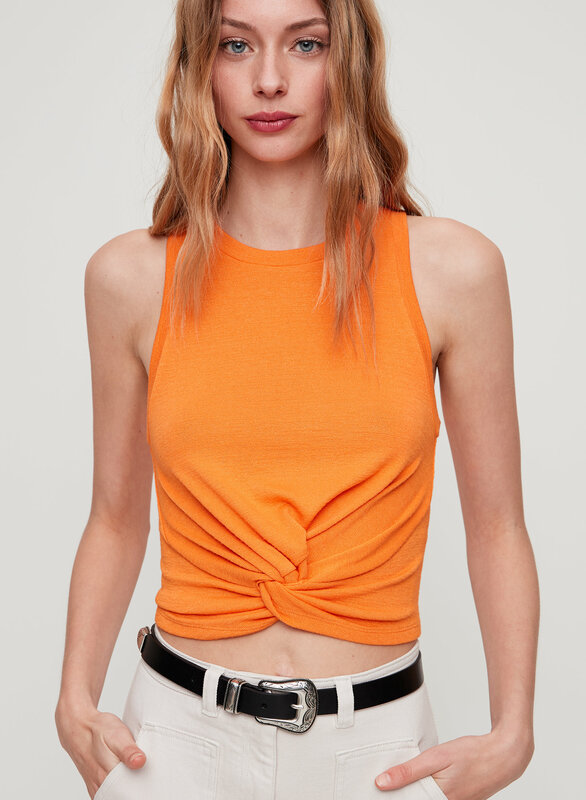 This is a cropped tank with a faux-wrap front. 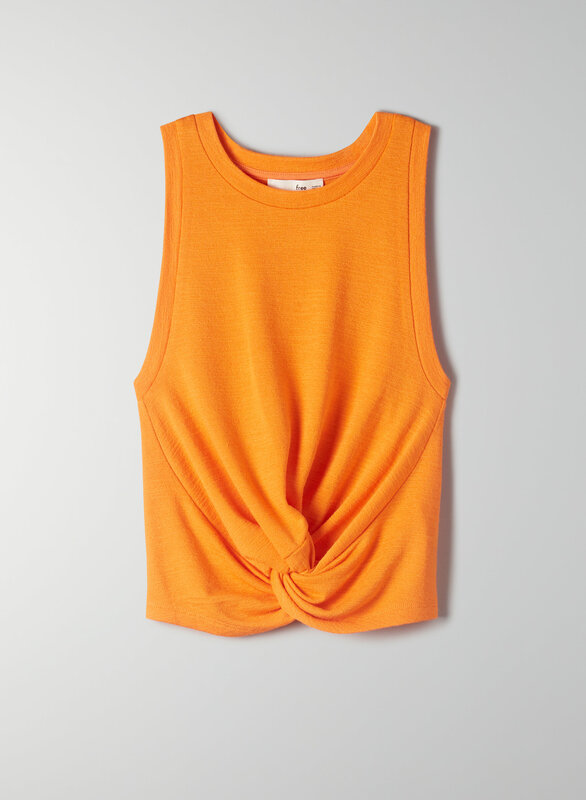 It's made with Wilfred Free's signature Reposa™ fabric, a soft jersey knit that drapes beautifully.